With the onset of heat all of us drawn to nature: to the forest, to the country, and even closer to the open waters — the lake, river or sea. And this is our main task — not to get burnt by the scorching sun. How to behave to outdoor recreation not harm the beauty and health, and left only a beautiful light tan and pleasant memories? Sunburns are not only spoil the beautiful appearance and cause discomfort, but also, and most importantly — dangerous. The ultraviolet spectrum of the sun not only damages the skin, causing premature aging, wrinkles, increased skin pigmentation, etc. 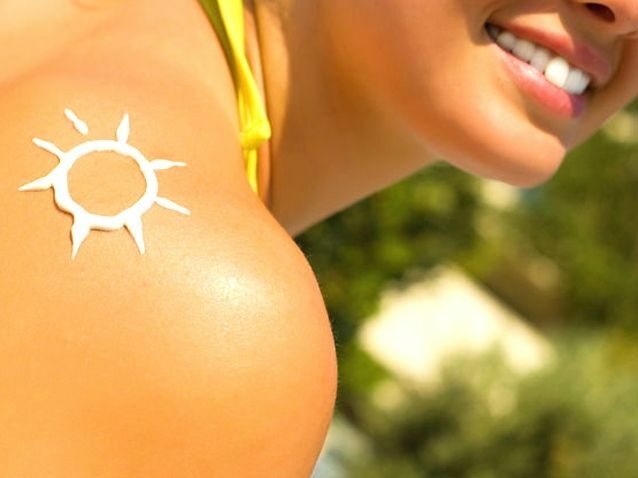 But the main danger of excess sunburn and sun is that they can lead to melanoma — mind aggressive skin cancer. In order not to get a sunburn, and not to suffer later, «licking the wounds», try to avoid direct sunlight during the hours of highest activity of our star. Sun exhibits the greatest activity from about 11 to 16 hours. Try this time to be in the room, otherwise — hide in the shadows. This is especially true owners of blue eyes, blond hair and white skin — they can burn very quickly. Leaving the house, wear clothes covering the body as much as possible. And do not forget about the wide-brimmed hats and sunglasses. So you can protect yourself from burns. Protect your skin from burning will also sunscreen with SPF-factor. Do not leave home without first covering all exposed areas of the body such cream. There are also sun sprays, oils and lotions — choose to your taste. Try to be in the shade of trees or buildings. If you are on the beach — hide under the umbrella. However, do not forget that the sun’s rays are reflected from the well of water and sand. Therefore, even under the umbrella, it can burn if you do not use other means of protection from the sun. If you decide to sunbathe, do not forget that in all should know when to stop. It should be noted that well taken care of face and body skin D’Arsonval apparatus and laser therapy. In addition, to this end, a variety of herbal medicines are also effective, such as Time and Vitaderm expert. They increase the skin’s ability to regenerate and protect against the harmful effects of the environment, nourish, moisturize and rejuvenate the skin. Before taking herbal remedies, consult with your doctor.